Howe and Co have continued to support Defendants defending an injunction sought by various Claimants of the Fitzwilliam hunt. Having successfully resisted the majority of the injunction at first hearing, the return date for the judgement has been listed for the 16 November 2018 of the interim injunction. Our clients described the hearing as "We are going in to this with a well versed and highly capable legal team, the backing of a huge number of people and the knowledge that we are campaigning for fair and legal treatment of our wildlife." The case has been crowd funded in part using the site Crowd Justice, those continuing to wish to make a contribution to this campaign can do so here. Please do continue to assist these Defendants who have made a great contributions to the advancement of the fight against unlawful fox hunting. Crowd funding via Crowd Justice has been an excellent experience, and we encourage the use of this vital resource for access to justice as discussed in the Guardian. These groups have taken part in numerous successful prosecutions of persons associated with fox hunting, and it is hoped that the Court take this into account when considering the outcome of this case. A large number of the Defendants are represented by Adam Tear a solicitor advocate of Howe and Co and Ashley Underwood QC from Cornerstone Chambers. "Led by senior partner Martin Howe, Howe + Co Solicitors represents high-profile clients in civil liberties and human rights cases. It is acting for a group of individuals in the Grenfell Inquiry, and is advising another group in the Independent Inquiry into Child Sexual Abuse. David Enright is leading the team in the latter case and has been involved in numerous immigration public law challenges. The ‘fearless’ Adam Tear handles actions against the police and regularly appears in the Court of Appeal, High Court and Upper Tribunal in respect to judicial reviews relating to immigration." Howe and Co continue to deliver the highest level of service in exceptional complex cases and are pleased to have the recognition for their civil liberties work. We look forward to improving on our listing in the coming years. Howe and Co we very pleased to be nominated, short listed and highly commended in the Law Society Excellence awards in the firm of the year , and pro bono firm categories. We congratulate all firms who were shortlisted and especially those who won in their categories. The delivery of excellence in law is central to the core concepts of Howe and Co, we continue to strive to deliver the highest standards of service. 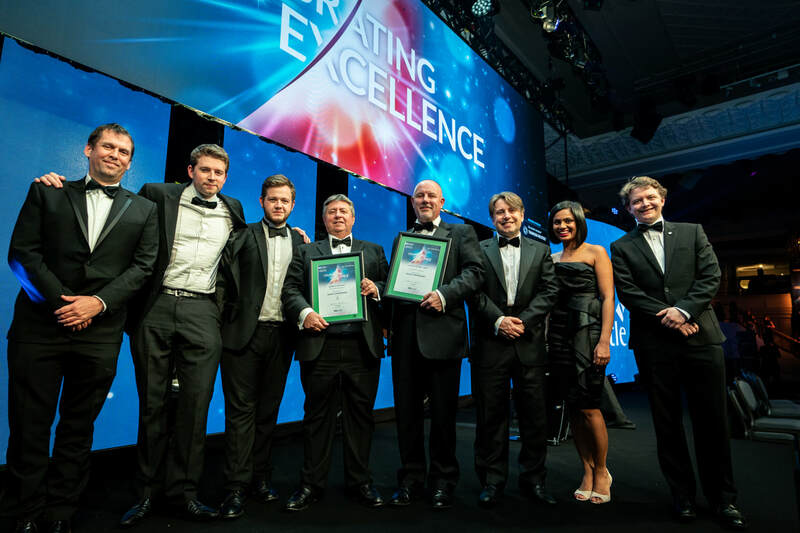 In both the categories that we were nominated in, we were shortlisted and highly commended in our work, we are grateful for the recognition from our peers that our work is at the highest level of excellence. I was deeply proud to receive these awards on behalf of our entire firm; all of whom dedicate their time and efforts to our clients and social justice. We will continue to deliver services to our clients with the quality of service they come to expect from us. We pride ourselves in having repeat business from our clients when they need legal services. We are proud that we continue to offer legal services funded under the Legal Aid Agency, in Immigration and asylum, Actions Against the Police, Public law, and other related matters such as trafficking, inquests and other matters. ​David Enright, along with the other solicitors representing all of the survivor core participants in the Nottinghamshire councils investigation today expressed outrage at the failure of Nottingham city council to send any senior representative to hear the accounts of abuse of the victims and survivors. Although senior representatives of Nottingham county council and Nottingham police attended to hear the harrowing accounts of the victims and survivors of child sexual abuse, Nottingham city council failed to send a representative. In the light of revelations about scores of incidents when UK security agencies knew that detainees were being mistreated by other agencies the government looks increasingly likely to call a long overdue and vital public inquiry into ‘extraordinary rendition’. ‘Who guards the guardians’ is an age-old question. All of us need to know what our security services do when no-one is able to monitor them. C. We have found what we consider to constitute evidence of two cases in which UK personnel were directly involved in detainee mistreatment administered by others. This is completely unacceptable. While one case has been investigated by the Metropolitan Police, the other has not been fully investigated. Had our Inquiry continued, we would have sought to interview all those concerned. There must be a question as to whether the Service Police investigation should be reopened. Z. The Agencies also supported the US rendition programme in other ways: endorsing rendition plans and providing intelligence to enable renditions. They were active in their support for the programme. They also condoned renditions through their conspicuous failure to take action to prevent renditions – in particular of British nationals and residents. It also has to be noted that the report could and should have investigated further as it notes within the conclusions that “Had we been given access to the interviewing officers, we would have wished to explore this highly unsatisfactory situation further”. What is extraordinary rendition - and is it lawful? Extraordinary rendition (in plain English, kidnapping) is the process by which a detainee is transferred from one state to another, outside normal legal processes (such as extradition or deportation). In many cases these detainees are transferred to secret detention centres or to a third country for the purposes of interrogation, and are often then tortured. 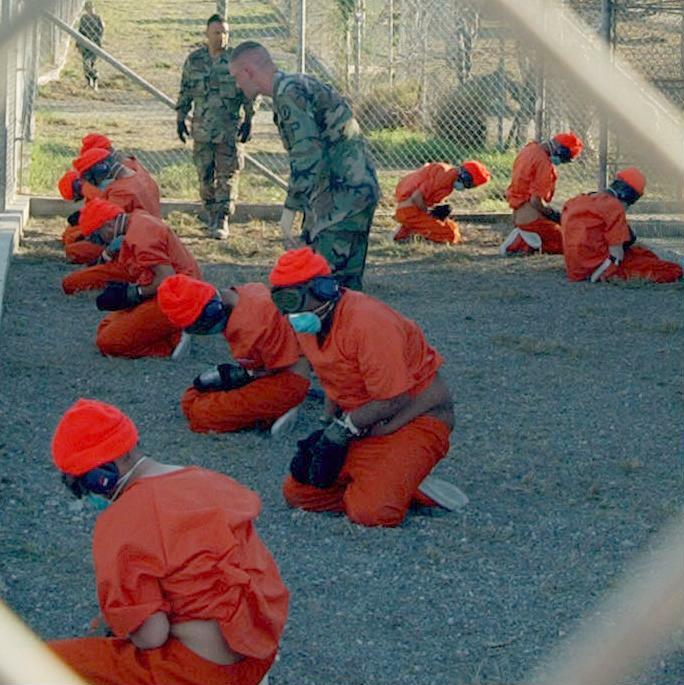 Used as a tool by the United States in the ‘War on Terror’, in order to bring people believed to be insurgents or involved in terror groups to ‘black sites’ or extrajudicial areas such as Guantanamo Bay, where ‘enhanced interrogation’ (again in plain English, torture) could be carried out without the detainees benefiting from the protection of US law. Torture is prohibited in British law. The UK is a signatory to the European Convention on Human Rights, of which Article 3 prohibits torture and ‘inhuman and degrading treatment’. The Human Rights Act 1998, which came into force in 2000, incorporated the ECHR into the UK's domestic law, placing a positive obligation on public bodies, including the security services, to prevent torture from taking place. “Rendering” (unlawfully removing) any detainee in the UK’s control (or assisting in their rendition by another state) to a jurisdiction where their rights under the European Convention are likely to be violated is itself a violation of the Convention and the Human Rights Act. Why is a public inquiry being considered? Extraordinary rendition was practiced by previous governments, but none have been held accountable for that policy. Britain is, at its heart and at its best, a country built upon laws and respect for the rule of law. There is growing evidence that our security service, senior officials and Ministers may have turned a blind eye to kidnapping, unlawful detention and treatment amounting to torture. If that has happened, it fundamentally undermines who we are as a nation and what we are seen to stand for as a nation internationally. The truth about these matters must be pursued, no matter where the search leads. What is the difference between a statutory inquiry and other inquiries into extraordinary rendition? There have been a number of inquiries into extraordinary rendition, with the ISC’s report only the latest. A public inquiry called by the government using the Inquiries Act 2005 would have special powers that other investigations have not benefited from. Under section 21 of the Inquiries Act, the Chair can compel any individual to provide documents or other materials to the inquiry – and then disclose them to participants or use them in public hearings. Failure to comply can result in imprisonment. In 2016 it emerged that the government were suppressing the publication of 12 documents in the possession of the US State Department; documents that related to extraordinary rendition and were not made available to either the Chilcot Inquiry or the 2007 ISC investigation into rendition. [ii] A public inquiry would have the power, under section 21, to compel disclosure of that evidence from government agencies. A public inquiry can also compel anyone to appear as a witness, under oath, and give evidence, under rule 9 of the Inquiry Rules 2006, and could allow victims of extraordinary rendition and their families to cross-examine former Government Ministers, under Rule 10. The conclusion of the Intelligence Security Committee could not be more troubling and this cannot be allowed to go un-investigated. Only a public inquiry can uncover the evidence. A judge would have the statutory powers to compel witnesses to give evidence and to compel the production of evidence of what actually happened to the scores of people who were subject to cloak and dagger ‘rendition’. Survivors of rendition and the public at large are entitled to know why these actions were taken or permitted. As Dr Martin Luther King said, injustice anywhere is a threat to justice everywhere. Crucially, a public inquiry can allow victims or those affected by extraordinary rendition to apply to become ‘Core Participants’, and gain access to evidence, call witnesses, and potentially being able to cross-examine and put questions to those who need to be held accountable. Howe & Co are currently engaged in representing a very large proportion of the victims and survivors in both the Grenfell Tower Public Inquiry and the Independent Inquiry into Child Sexual Abuse (which is the largest public Inquiry in British legal history). The IICSA is investigation matters including child abuse at the very highest levels of public and political life. Howe & Co has and continues to champion the right of victims and survivors to achieve truth, justice and accountability. Given the nature of extraordinary rendition, and the involvement of the security services, victims will have to fight even harder and smarter to achieve justice in any public inquiry that is called. If an inquiry is called, then interested parties will begin making submissions on the Terms of Reference, which will be set by the Government and determine what an inquiry can or cannot look at. Then, people and organisations will have an opportunity to apply, via legal representatives, to become Core Participants and play a role in shaping the inquiry. Whether the security services currently behave differently is impossible for the public to know. Only a public inquiry can tell us what happened, why it happened, who ordered it and allowed it; and whether methods like extraordinary rendition are still in place today. On the 5 June 2018 Howe & Co’s lead counsel, Sam Stein QC, made his powerful opening statement on behalf of the victims and survivors of Grenfell Tower that Howe & Co represent. Mr Stein’s opening submissions highlighted the “vertical village” that was the Grenfell Tower Community. Thereafter Mr Stein conducted a forensic examination of the failures that led to the loss of so many loved family members, neighbours and friends. A link to the transcript of the hearing can be found here. Mr Stein’s submissions on behalf of Howe & Co’s clients begin from 02:03:43 here until 02:50:58. The Inquiry will continue to hear opening statements on behalf of Core Participants until the end of Thursday 7 June 2018. Howe & Co’s team will be in attendance at the hearing centre every day to support our clients and to make sure their views and priorities are heard loud and clear. This followed the opening of the Inquiry, with commemorative statements from the 21 May 2018 until 30 May 2018. The commemorative hearings were an incredibly moving tribute to those that did not survive the fire. The hearing started with the youngest loss of life, Logan Gomes, whose parents are represented by Martin Howe, and finished with another of Howe & Co’s clients, the Choucair family who lost six family members. The tributes were moving and often distressing. The powerful words of the family members fundamentally changed the way the Chair and legal team of the Inquiry viewed the victims and survivors and the loss they had suffered. Whilst Counsel to the Inquiry has stated that he does not agree with this assessment Howe & Co are confident that this is correct and will maintain in argument this position that the stay put policy should have been abandoned sooner rather than later. Howe & Co are determined that the lives of those lost in Grenfell will not be forgotten and that the victims and survivors of Grenfell Tower will be placed at the very heart of this Inquiry. The Inquiry have asked that when Core Participants attend the hearing they sign in with the Inquiry so that they can arrange for subsistence payments to assist with your attendance at the hearing. We will return to the Inquiry on the 6 June 2018, and continue to listen to the opening submissions. In the next few days we will start to hear from the Corporations Core Participants. A number have already been criticised for failing to be clear, and use due candour in their opening, and so might use the oral submissions to set out their positions.